If there’s one nursery staple that requires an almost infinite amount of research, it’s a baby monitor. What best works for your family? What features do you need? How easy is it to use? The very helpful folk at Oricom have given us some handy tips for choosing the right baby monitor. As they say, forewarned is forearmed, particularly when it comes to babies. If there’s one piece of technology that is almost essential for new parents, it’s a baby monitor. With both of my children, I used a baby monitor well into their third years. They’re fabulous for peace of mind, not only with newborns and babies – but kids transitioning to big beds. Baby monitors are like that second set of eyes that, as parents, we wish we had. Having said that, it can be incredibly overwhelming when you’re faced with choosing the right baby monitor for your situation. Oricom has a vast range of high-quality audio and video/audio monitors. And here’s the clincher – they are easy to use. While the technology can seem overwhelming, there’s no need to be a tech-head to be able to successfully use Oricom’s monitors. Rest assured that the secure digital technology and nifty features will give you a constant virtual presence in your baby’s nursery. Size and portability – monitors with large screens are great to view multiple cameras, while smaller units can be carried with you around the home. Parent talk-back – gives the ability to soothe your child from another room. Night vision – so you can see your baby at night, or in a dark nursery. Light and sounds – monitors can do so much more than monitor, they can play lullabies, play ceiling projections or have an inbuilt night light. Vibration alert and light-sensitive display – allows the monitoring of a child with the sound off, or low. Oricom’s audio monitors include a longer range of up to 300 metres and crystal clear sound that won’t be distorted by interference. The audio/video monitors have the benefit of being able to see the baby, and there’s the option of monitoring more than one child at a time with multi-camera monitors. 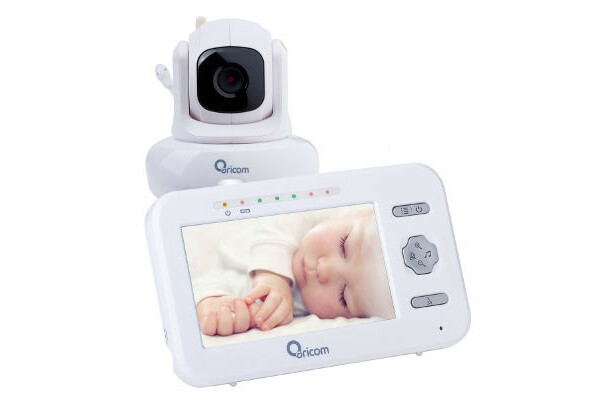 If you’re a gadget freak, the Oricom Secure850 Digital Video Baby Monitor with Pan Tilt Camera will be right up your alley. The camera has fully motorised movement, which you control through a parent unit. The unit also includes a room temperature display, alert, night light and lullabies. The Secure520 DECT Digital Baby Monitor is an absolute workhorse – it monitors room temperature, has an adjustable night light, 18 lullabies (including white noise and nature sounds), parent talk-back and a starry night light show. It’s a whole bunch of nursery gadgets in one. 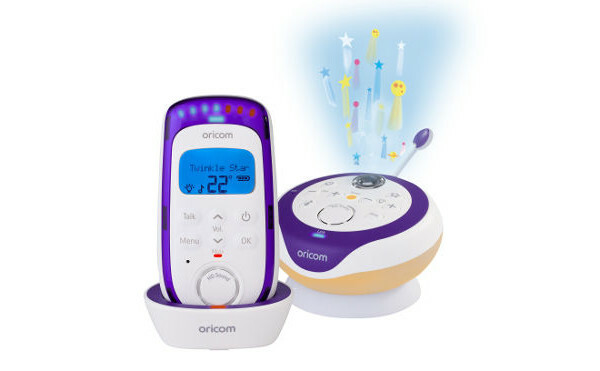 To browse the entire baby monitor range, head to Oricom.